2x3 Inch Promotional Rectangle Stickers - Removable Clear Film Shiny Lamination are best for creating logo stickers, equipment labels and parking permits. The Clear Film making gives these custom rectangle stickers outstanding durability and compatibility for indoor and outdoor exposure. Shiny finish makes sure that the imprint is presented in an attractive way. Removable adhesive leaves zero residue while removal after months. 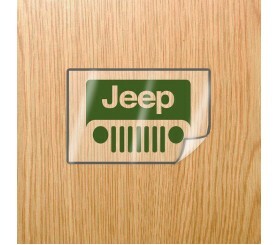 Order these custom stickers quickly to get free online proofs, free design and free shipping offers. Request a quote to know what you can save on ordering these 2x3 Inch Promotional Rectangle Stickers - Removable Clear Film Shiny Lamination in bulk. Product Size: 2 in. x 3 in.